It looks like historical films are making a good comeback in the Philippine movie industry. Just recently, Jerrold Tarog's historical war epic Heneral Luna made a killing and continues to do so at the box office. This is a rarity in the country when it comes to period pieces. In the upcoming Metro Manila Film Festival, one of the eight official entries is also a biopic about Filipino revolutionary Apolinario Dela Cruz aka Hermano Pule. Needless to say, this is a good sign. It's about time that this country starts producing films other than over-the-top comedies and rom-coms. Also scheduled to be released this year is a historical film that looks into the life of Gregoria De Jesus. Known by her nickname Ka Oryang, Gregoria De Jesus was the wife of Filipino hero Andres Bonifacio. 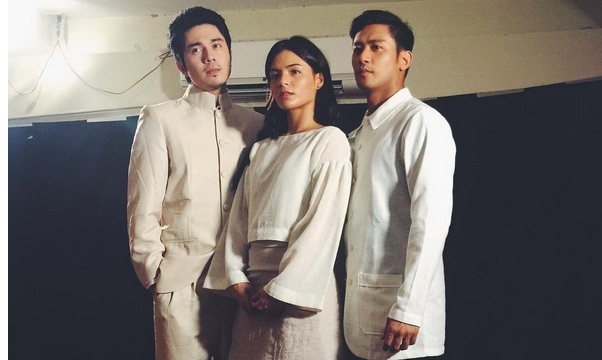 The film carries the title Lakambini and it features Lovi Poe playing the main character. Also in the main cast are Rocco Nacino as Andres Bonifacio, Paulo Avelino as Julio Nakpil, Spanky Manikan, Raquel Pareno, and Gina Pareno. The film's directed by Jeffrey Jeturian and Ellen Ongkeko-Marfil. The film was adapted from an award-winning screenplay written by Rody Vera. Lakambini is the product of a collaboration between the film production company Erasto Films and the Philippine Commission on Women. Watch the first teaser trailer for the film below.